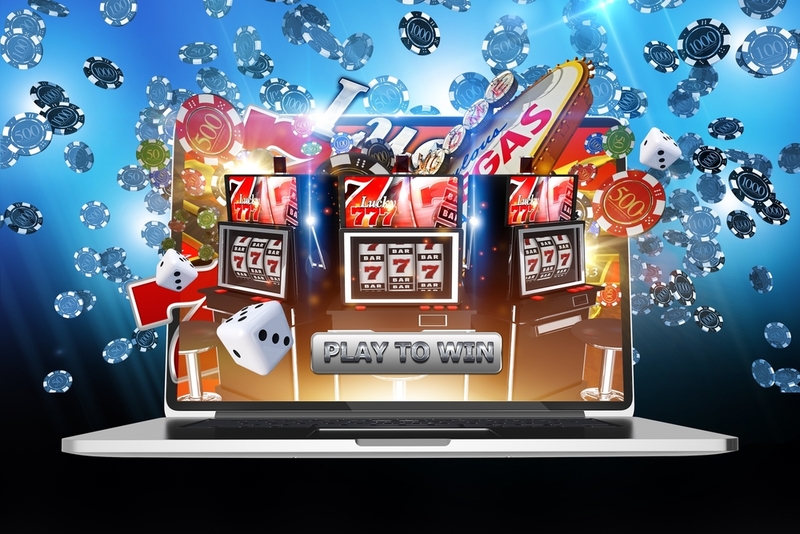 When the online slot machines began to be popular, the companies that developed these games, considered how to get the most out of the boom that was already growing in all directions. In the end, they came up with an idea that land casinos already implemented: a marathon tournament session. Microgaming was the company that started the trend. The conditions were given to get a huge amount of users, and that was exactly what happened. When faced with the opportunity to enter dozens of tournaments daily, play for free and for real money, the applications began to arrive one after the other. Even people who had never played a slot online joined the tournaments. Currently, these races are still standing, and stronger than ever. When they started, most competitors were necessarily connected from their personal computer, but the increase in tools to access casino sites has been in proportion to the number of users who join. This is how any page of online casino games that has software developed by Microgaming, can open the registrations to these tournaments. There are hundreds of thousands of records of fans and not so fans looking for a cheap alternative to play slots through the web. Generally, gamers talk about two types of online slot tournaments: the Sit and Go and the scheduled ones. In the first one, the players do not have an entry time, they will only start after all the required requests are complete and the end time is established on the fly. Many players are fans of these types of tournaments because they claim that they increase the feeling of “adrenaline” within them. There is no time to prepare and stop to assess what they know about the slots they play. As the name implies, it is a “Sit, and go”! For the most organized and committed to these races, those who are scheduled for a specific day and time are the best option for them and enjoy participating. It has a moment of beginning and completion. In this type of tournament, all participants have the opportunity to enter and play as long as the contest is open. The sessions can be extended hours or days, depending on the policies of the tournament, the number of registered users and the prizes that, for some lucky winners, have amounted to millions of dollars. Many see these tournaments as a way to encourage addiction by “playful activities”. However, Microgaming insists that it does so with the intention of “encouraging recreational entertainment”. As far as the players are concerned, they do not put any but, because the commitment of the company with these tournaments leaves great benefits for them. Each differs from the other at a certain point. Therefore, below is a selection of the most famous tournaments sponsored by Microgaming. From Friday to Sunday, the marathon session of slot games begins. Obviously, it is programmed and completed by the Microgaming casinos. The prize in this game reaches a figure of ten thousand dollars. In this type of contest, novice players are registered, or people who did not find something better to do in their weekend. When it comes to fatter fish, the number of requests can double, but in this tournament, the average is a couple of thousands of participants who enter on Friday, sometimes Saturday. Of course, one of Microgaming’s most iconic slot games was to have its own tournament. It is done three days during the week (usually between Tuesday and Thursday); and the prize, like the previous one, is ten thousand dollars. A greater number of users apply to this tournament, especially since Moolah crowned one of his winners with a prize that amounted to millions of dollars. Although here the prize figure is stipulated, the stimulus continues to have an effect on the most stalwart slot players. When it’s free, better, that is the motto of the overwhelming amount that applies to this tournament. It is one of the most popular within Microgaming, although its prize does not amount to much either. In fact, in this contest, the winnings are distributed among the nineteen players remaining at the end of the contest. In this contest, users can buy a re-buy. That is to say, an option that allows them to play again if their scoring expectations are below those they wanted to win or needed to qualify. For the real money it offers, many take this option, distorting the “free” a bit. It is the first on the list that belongs to the major leagues. This tournament is scheduled and takes place on the last Monday of each month, expiring its term seven days later. Although it requires a genuine effort on the part of all its participants, the greatest incentive of this game is the prize, the figure of 25 thousand dollars that all those who sign up want to do. When it comes to this game, the registration requests do not stop arriving and, although it is not completely free, the sum compared to the prize is nothing. An epic name for a tournament in which literally wins the one that survives all rounds. In these contests, of programmed type, the players who obtain the highest scores are advancing. Microgaming qualifies it as one of its favorites and, to boost the number of participants, offers discounts of up to 50% when the time of registration. This is one of the competitive marathon sessions that most stresses its participants because they have a limited time to reach the goal. There are no jokers, only the gamers, their computers and a tremendous desire to enter the game. In this contest, there are no repurchases, no jokers. It is of Sit and Goes type, and its Microgaming includes it among one of the most popular of its list, it is because most of the participants have the same opportunities to win. It may sound a bit idyllic, but the supervisors are strictly in charge of not tilting the balance in favor of anyone. From the most experienced to the novice can get the reward offered by the company. Obviously, the purpose of the tournament makes its name clear. However, this is one of the games that have the most subscriptions due to the adrenaline and the short time you spend on the race. There are no rebuys, but there are high opportunities to increase the score through supplements. These tournaments have an approximate duration of 1 hour, although it can be extended depending on the players. However, once the time is over, the game closes automatically, to the consternation of those who feel “they already had it”. It is one of the most funs and, perhaps, the least bodily sacrifice required.